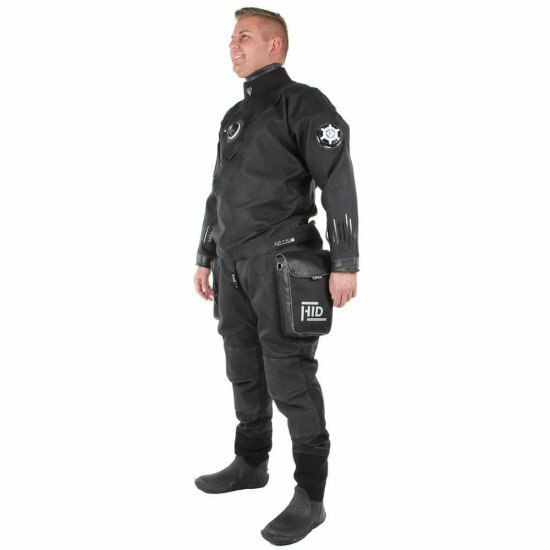 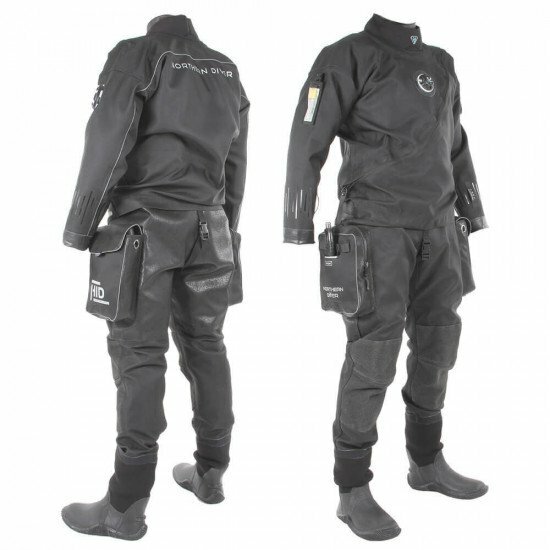 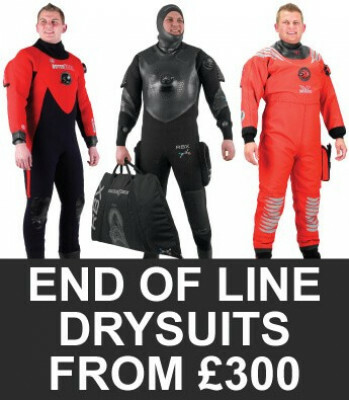 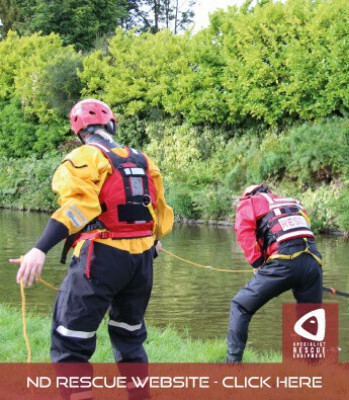 The HID Drysuit is manufactured from ultra hard-wearing black Aquatex fabric. 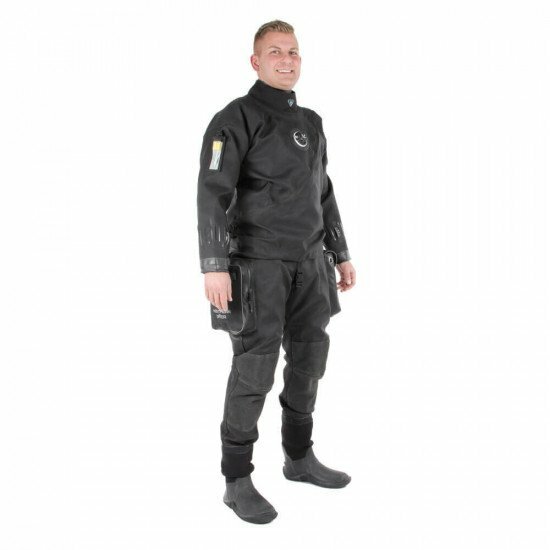 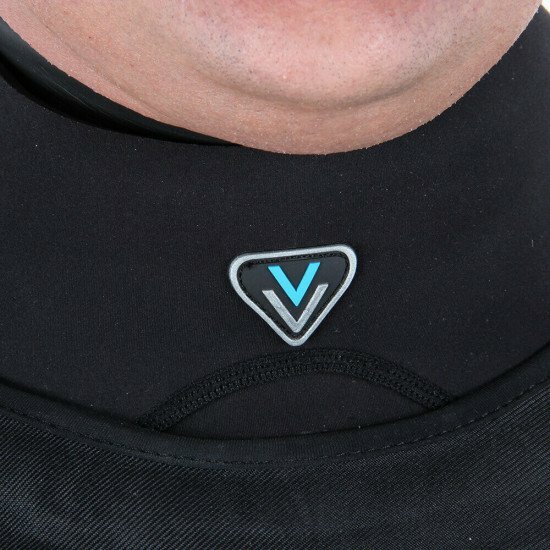 Don’t expect a considerable amount of excess material, a usual feature of a membrane drysuit, as the Constant Fit Tension Flex system on this technical tri-laminate drysuit fits closely while moving in tune with the diver’s body. 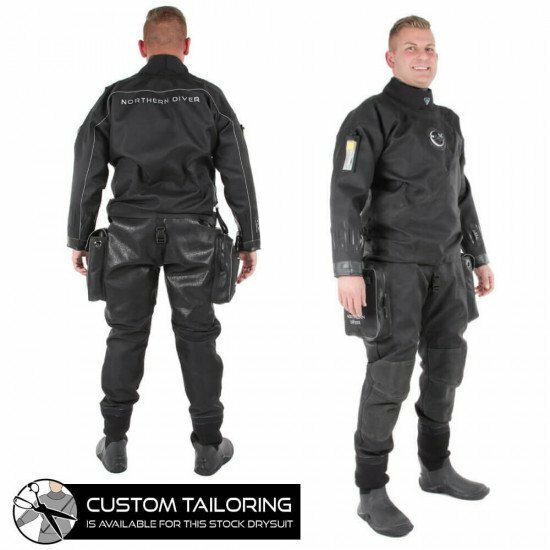 As the HID Drysuit is front-entry, the Constant Fit Tension Flex system comes in handy when putting on and removing the drysuit. 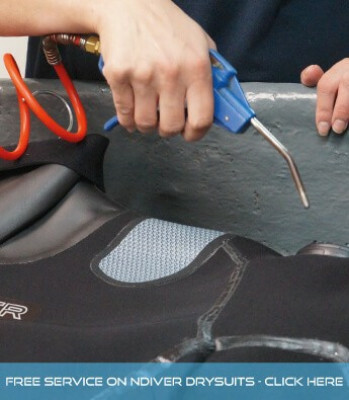 When completing these processes, the YKK high-compression Aquaseal zip isn’t put under excessive pressure, nor the diver’s neck. 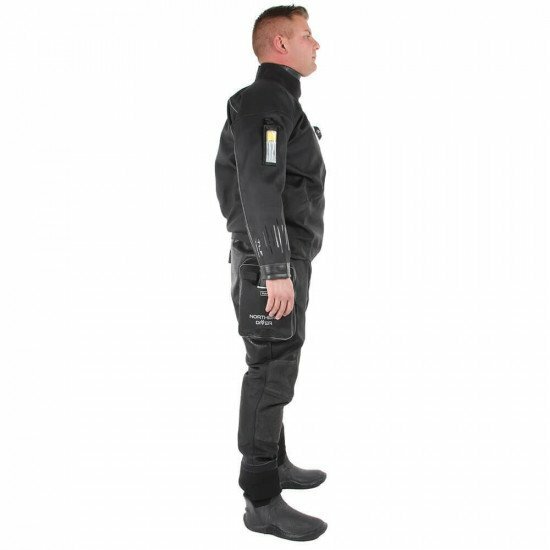 The HID Drysuit has new and useful features. 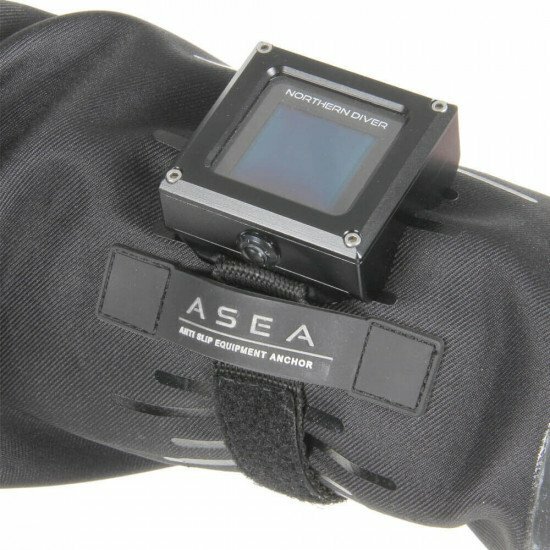 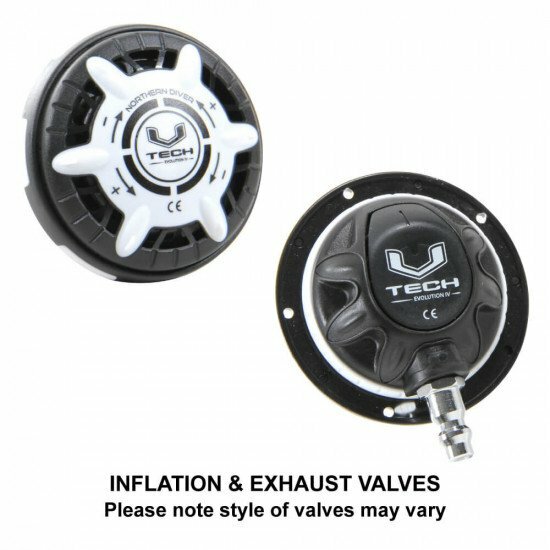 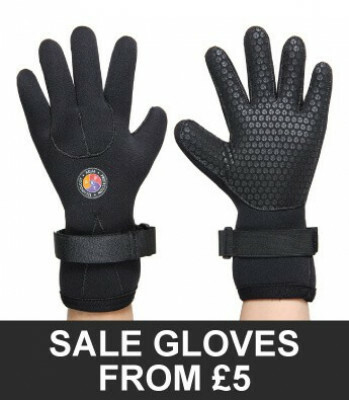 With items such as a dive computer in mind, we have added our recently developed Anti Slip Equipment Anchor to each wrist. 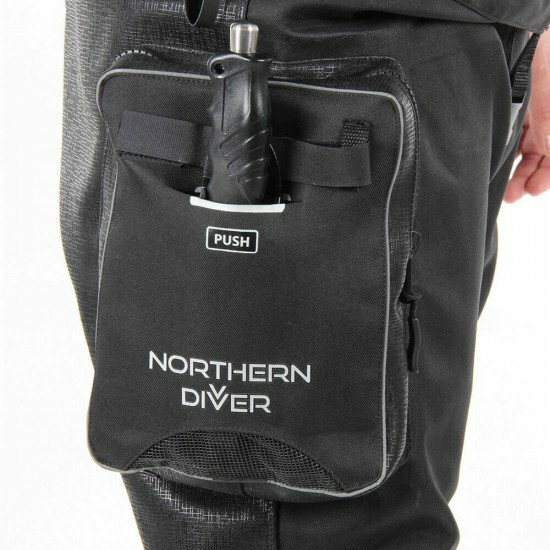 Owing to the anti-slip material used, the anchor helps to keep your equipment secure and in position for the duration of the dive. 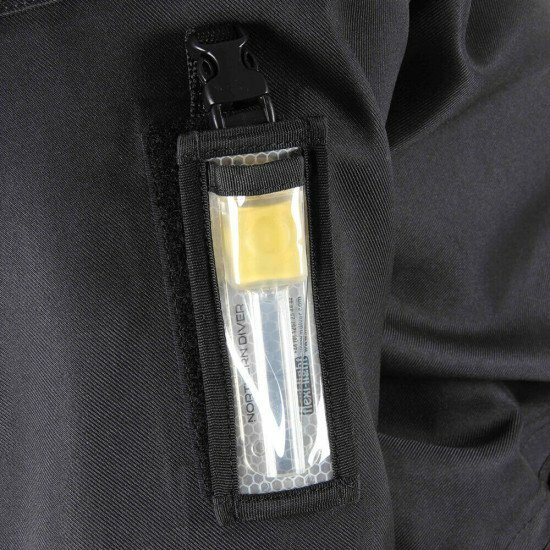 A pocket for our popular new Flexi-Light is just below the shoulder on the side of the left arm. 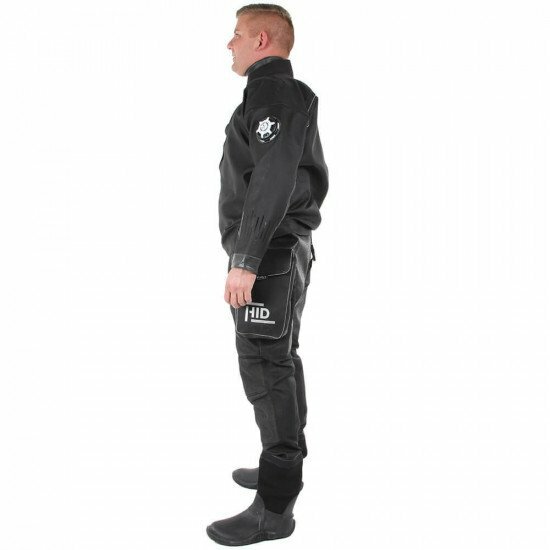 The HID Drysuit has a zipped transporter pocket, with an integrated diver’s knife pocket, on the side of the right thigh. 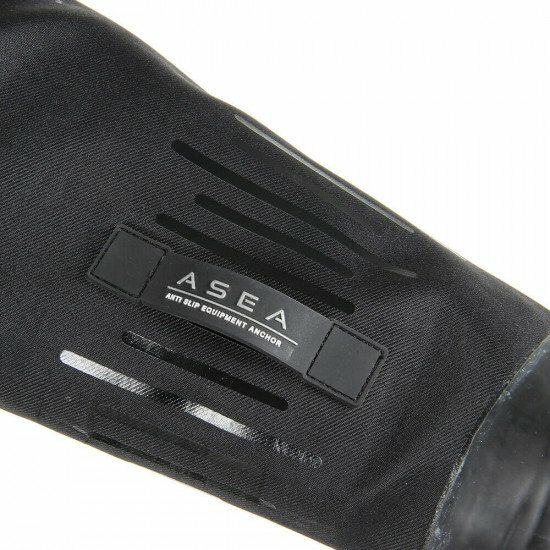 A hook-and-loop fastened bellows pocket features in the same position on the left thigh. 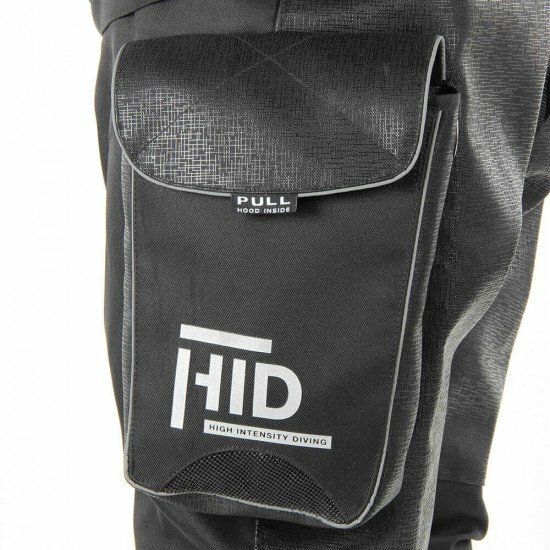 Good design! 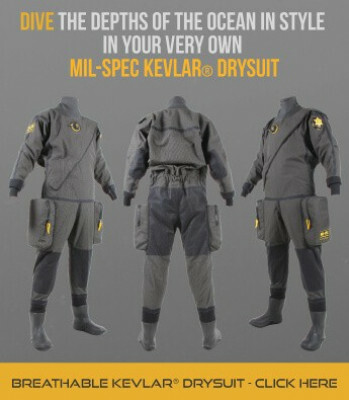 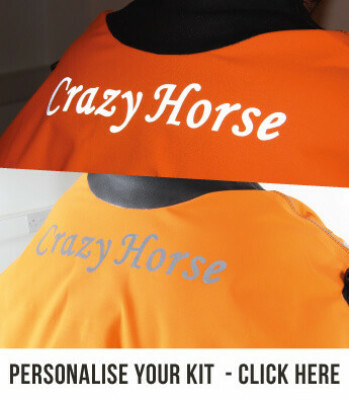 Strong dry suit! 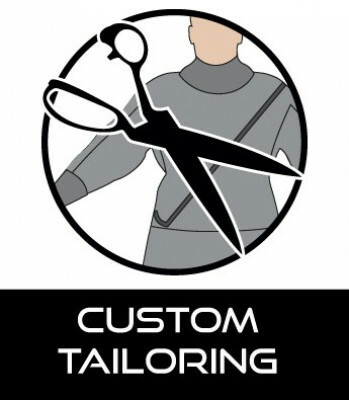 Friendly service! 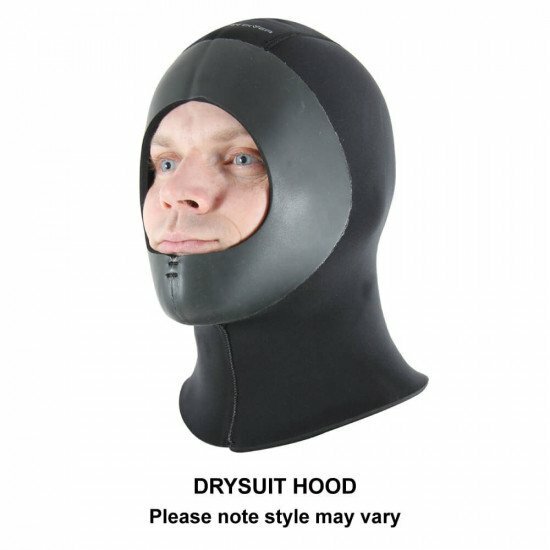 Thoughts : I am Korean, Dry suits are also required in Korea. 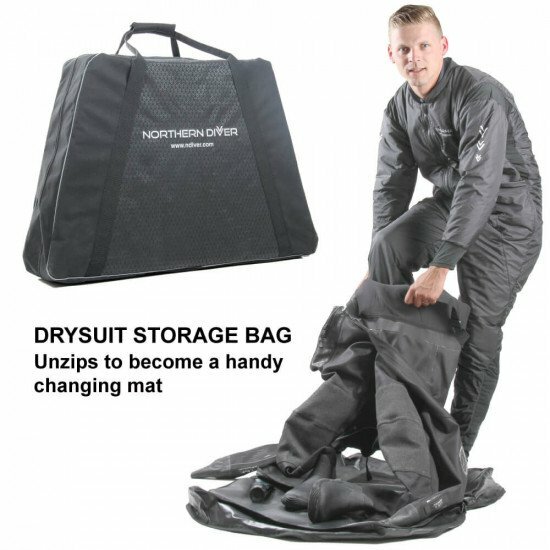 Northern's HID Dry Suit is great. 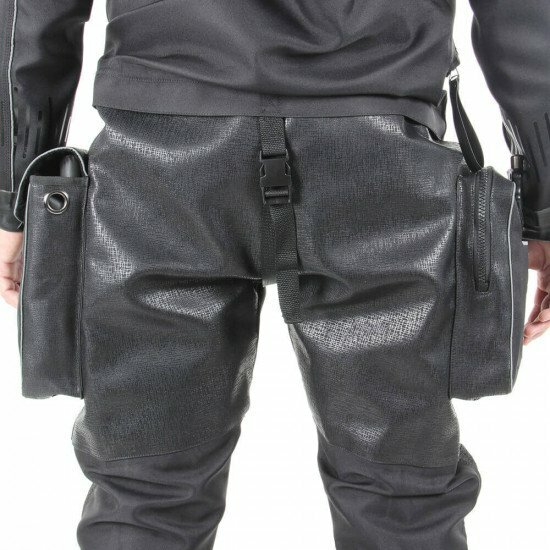 The design is fashionable! 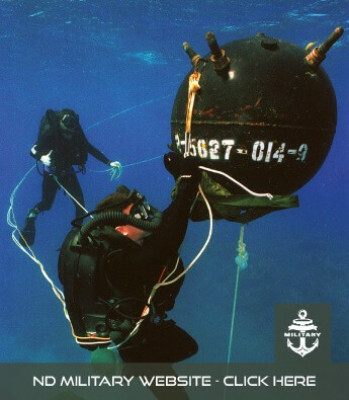 Durability is strong! 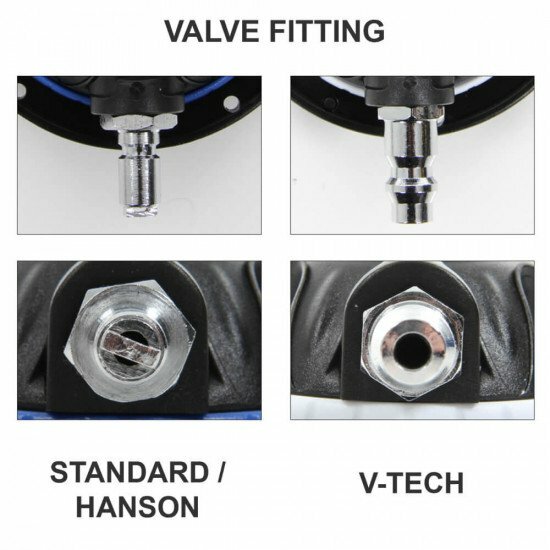 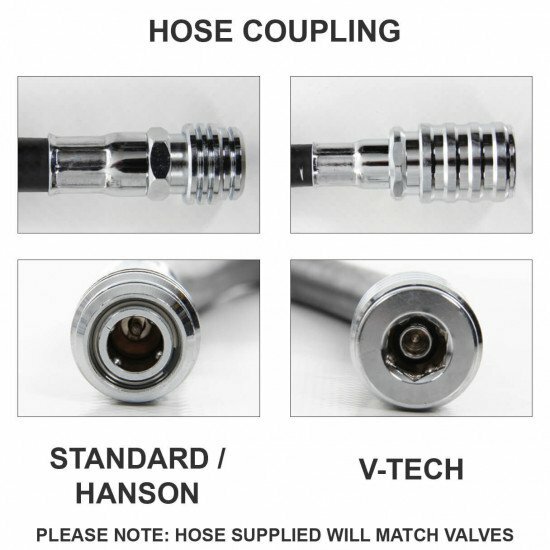 Service is the best. 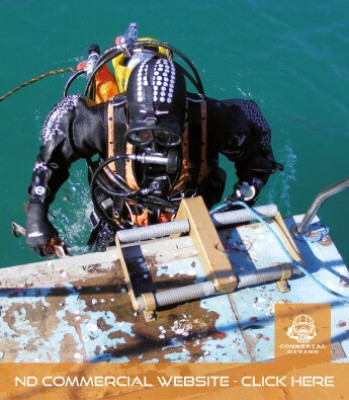 Thanks friendly Northern Diver staff member Dan Cottrell!